The creation of an experimental album is not an easy task, as those who try to accomplish it are tasked with blending the three essential elements which define the sound of this genre (heaviness, dynamics and atmosphere) without relying one particular one too much. If it isn’t perfectly centered, the whole thing will go lopsided. In terms of experimental music, the slightest imbalance in your sound might throw off the whole album and break the listener’s immersion. 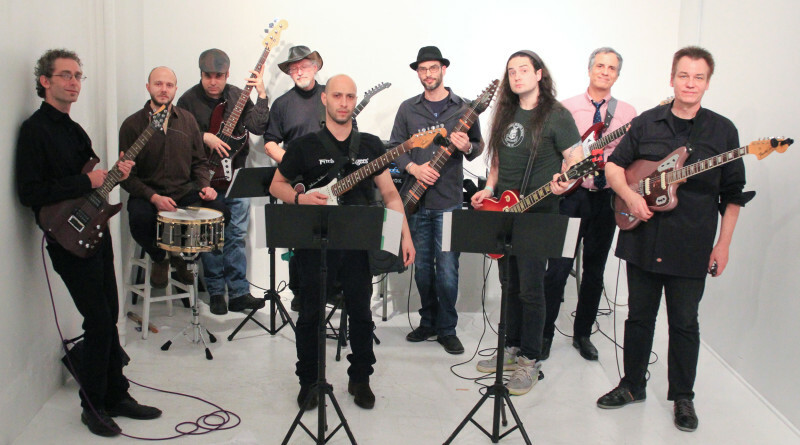 Fortunately, the New York-based project, conducted by guitarist and composer Patrick Grant, Tilted Axes handled this balancing act with great sensitivity and skill in creating their gorgeous piece of experimental music, Music for Mobile Electric Guitars, which came out in July this year. Clocking at almost 75 minutes, Music for Mobile Electric Guitars doesn’t feel long, given the genre’s usual album lengths. This album is filled to the brim with great moments within its perceived runtime. “Shapes 1”, the opening track, kicks off the record firing up on all cylinders. 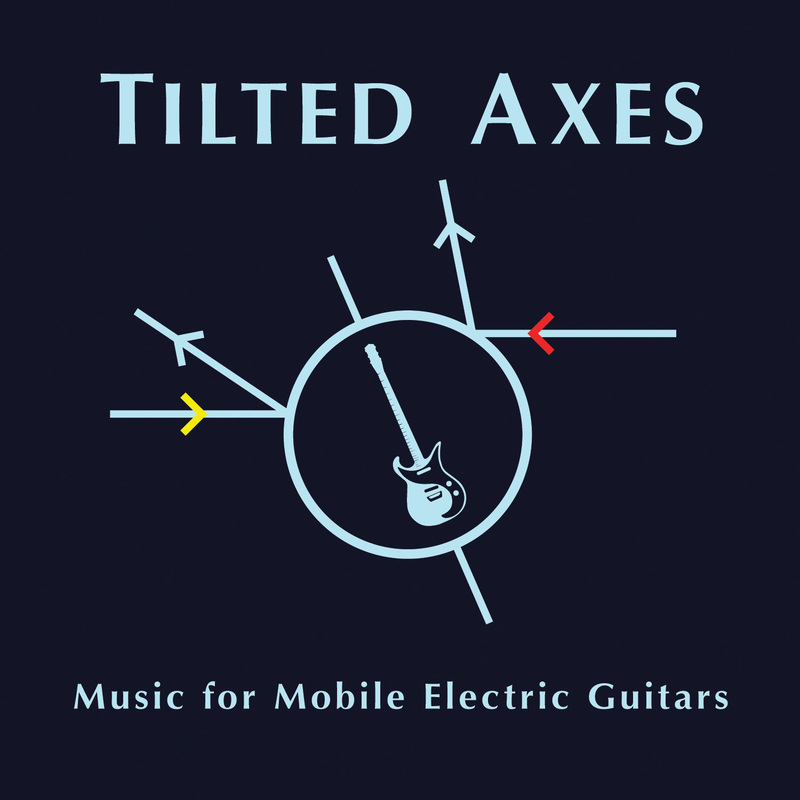 It is in the third track, “Tilted Axes Theme” where ensemble starts giving away what a listener can expect from the group. Each song on the 17-track album contains remarkable sections which are moving from one to another without the feeling of fatigue. Other highlights (if a multicoloured release like this one knows for the term highlight) include “Rivera Court” with its combination of a repetitive melody formatted in a psychedelic/indie vibe; swirling “Techno Tilt,” which has a classic Rock feel to it; nothing less electric “Asciae Obliquiae.” “Polymetric Patterns,” as its name suggests, tirelessly goes forth and back to further explorations within the jazz and rock circles. “Kneadle Variation” and “Corridor 84 + Krimson Coda” include variations on material by King Crimson’s Robert Fripp. Overall, the album does bring the feeling of being connected with the experimentalism of King Crimson. According to the press release provided by the publicist, Patrick Grant has previously collaborated with Fripp on the Robert Fripp & The Orchestra of Crafty Guitarists project. Mixing-wise, Music for Mobile Electric Guitars is really well-made as well. The guitars are crisp and clean, the drums have a lot of punch and sound roomy, the bass is actually audible. There obviously was great attention to detail involved, and the album is much better because of it. Get it from Bandcamp. Follow Tilted Axes on Facebook.